Today's generation of Boy Scouts are wired. One observer quoted in a National Public Radio story called them "digital Boy Scouts." 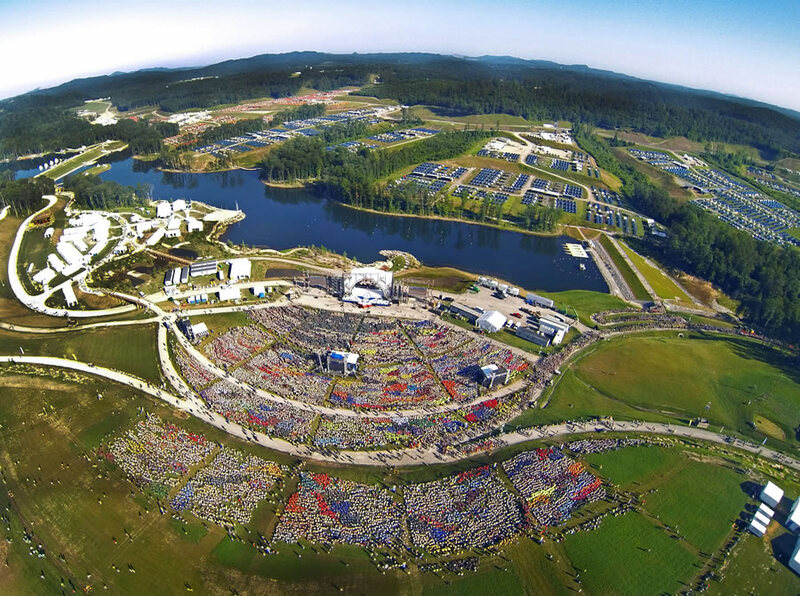 So it was no surprise that when they headed to the 2013 National Scout Jamboree last July, many brought smartphones along in addition to their trusty compasses. 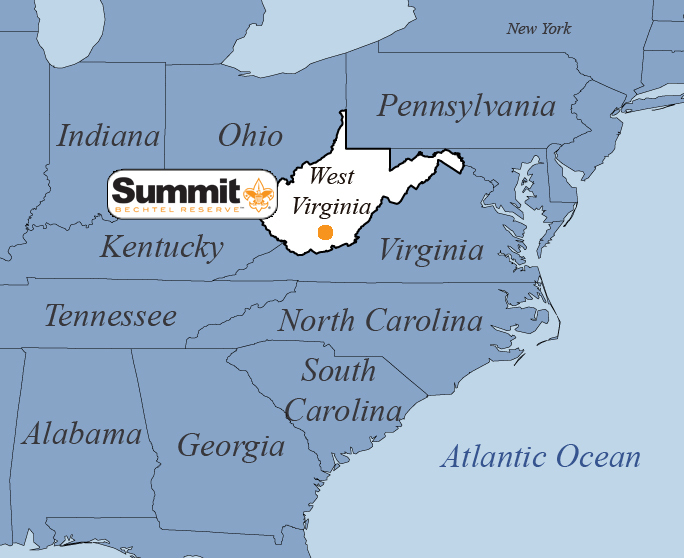 Summit Bechtel Reserve is located in the Appalachian Mountains. 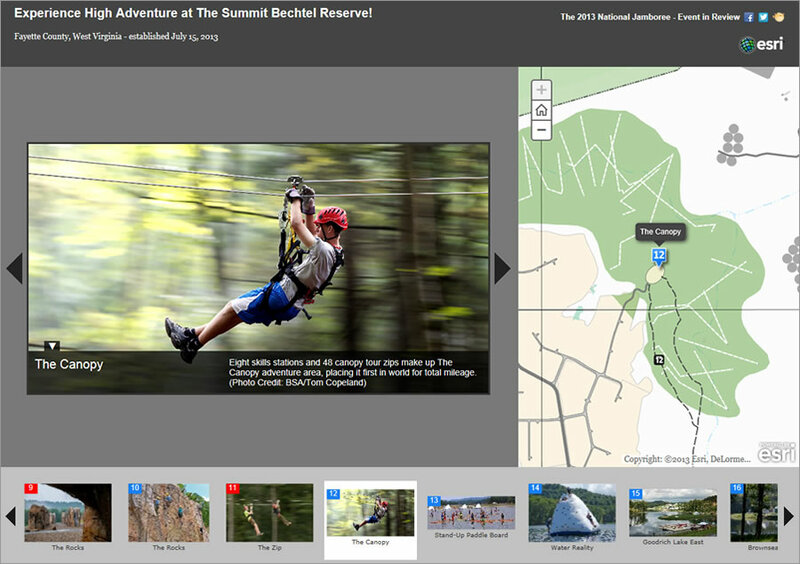 There at the newly opened Summit Bechtel Reserve (The Summit) in the rugged hills of West Virginia, more than 25,000 Scouts crisscrossed the 10,600-acre venue building up their skills—and muscles—at sports such as mountain biking, zip-lining, rock climbing, and white-water rafting. In that environment, the smartphones came in handy for much more than texting fellow Scouts, friends, and family members. 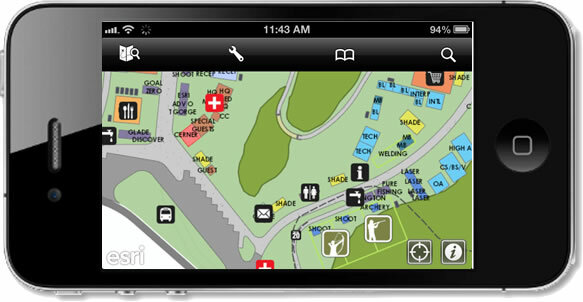 More than 5,000 Scouts, staff, and volunteers downloaded the free Esri ArcGIS App to help them navigate around The Summit, a sprawling property carved out of a reclaimed coal mine The National Jamboree is one of scouting's largest gatherings, and the Boy Scouts of America's Summit Bechtel Reserve is the permanent home of the jamboree. Though the event is only held once every four years, the reserve will serve as a year-round, high-adventure Scouting center for both boys and girls. The ArcGIS App helped the young people find places such as AT&T Summit Stadium, first aid tents, and activity areas such as The Bows for archery, The Park for skateboarding, and The Pools for scuba diving. "We helped them download the app. They were ecstatic, saying, 'Now I know where we are and where I need to go,'" said Esther Worker, Esri youth community manager. 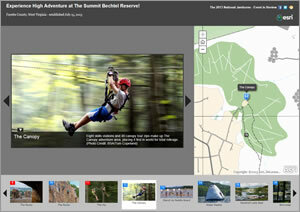 Scouts, staff, and visitors downloaded the ArcGIS App to help them navigate Summit Bechtel Reserve. But Esri provided more than a mapping app for the Scouts who attended the 10-day Jamboree. For Esri partner Trinity Works, Inc., ArcGIS was the technology of choice for directing the planning, design, and construction of The Summit over the past three years. Trinity Works managed the development of The Summit for the Boy Scouts of America, a property located just north of Mount Hope, West Virginia. Land acquisition was made possible through a donation by the Stephen D. Bechtel, Jr. Foundation. 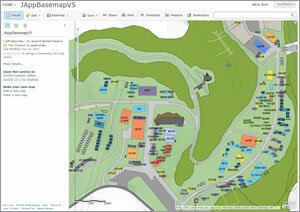 Sarah Linden created this basemap for the Jamboree. It shows the various shops, AT&T Stadium, and areas for archery, volleyball, basketball, bowling, and other activities. Building the geodatabase that contains data and information for The Summit site and the Jamboree, including campsites, roads, bridges, utilities, skateboard pipes and mountain bike trails. Situational awareness such as monitoring the locations of emergency personnel and their vehicles during the Jamboree. ArcGIS gave the staff in the Logistics Operations Center (LOC) the ability to see where crews were closest to the site of any incidents that occurred. Facilities management. ArcGIS was used to report and monitor maintenance issues. 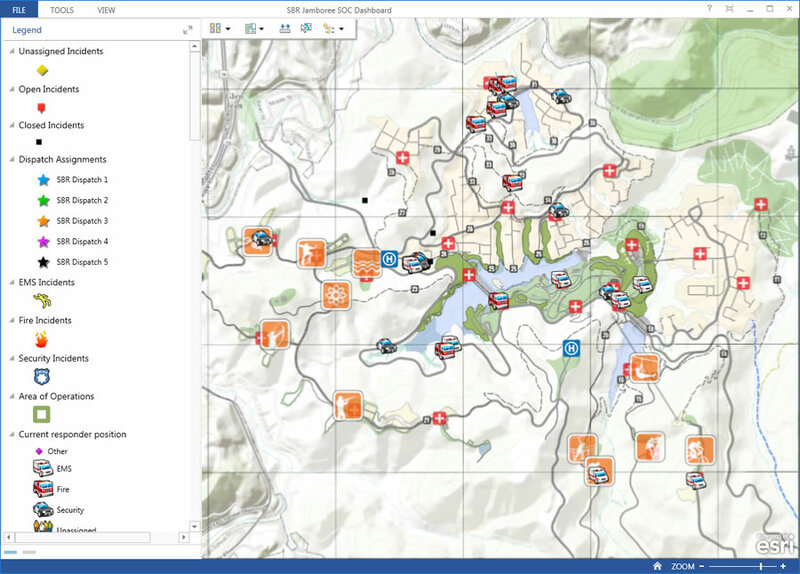 To help BSA manage the event and provide situational awareness, Trinity Works and Esri worked together to create a common operating picture (COP) using Esri Operations Dashboard for ArcGIS and Esri ArcGIS GeoEvent Processor for Server running in the background. (ArcGIS GeoEvent Processor for Server provides a connection to streaming data and automatically issues alerts when specific conditions occur). This dashboard shows the location of fire vehicles, ambulances, and first aid stations. 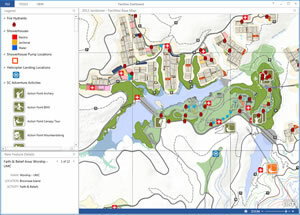 Esri solution architect Jim VanOstenbridge and solution engineer Ken Gorton collaborated with Linden on this project. Linden first established basemaps using ArcGIS Online. VanOstenbridge then used Operations Dashboard for ArcGIS to set up the dashboards using Linden's basemaps. 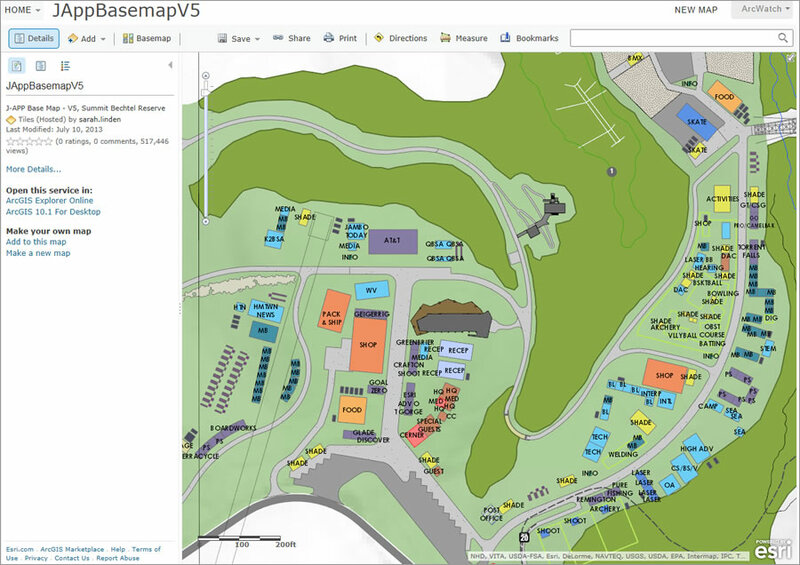 The basemaps included features such as campsites, AT&T Summit Stadium, adventure areas, restrooms, tents, and first aid and hydration stations. They also contained icons such as ambulances, police cars, and fire units that referenced DeLorme inReach two-way communicator and GPS beacon devices in the field. Gorton configured ArcGIS GeoEvent Processor for Server for the Jamboree, VanOstenbridge said. "The inReach devices were registered with DeLorme's cloud services, and those services relayed device and position information to a GeoEvent Processor that (Gorton) had set up on an Amazon server," he said. "GeoEvent Processor then updated responder vehicle features in ArcGIS Online." At the LOC, staff worked with various dashboards depending upon their roles. Dashboards were used inside The Summit Logistics Operations Center. "Various groups headquartered at the LOC, including first responders, emergency medical services (EMS), and fire personnel, were given access to a dashboard and applicable online web maps designed specifically for their needs," Linden said. Security and emergency personnel carried in their vehicles the DeLorme inReach devices, which transmitted real-time updates to the dashboards indicating their location once every 10 minutes. The DeLorme inReach devices were inside ambulances and security and fire vehicles. Up to 30 ambulance, security, and fire units carried DeLorme inReach devices daily during the Jamboree. Live data streaming from the devices communicated information such as vehicle location, mobile number, and the crew's name. "LOC personnel appreciated the dashboards, which provided an accurate depiction of the site in near to real time," Linden said. "Clicking on an ambulance icon, for example, would show a team leader or dispatcher who staffed the vehicle, where the crew was located, and the mobile number where the crew could be reached," she said. "The use of web and mobile mapping [and] real-time tracking during the Jamboree allowed individuals assigned to dispatch and response roles to have a complete, dynamic site picture," Linden said. "Not only did it provide an opportunity to eliminate errors in reporting, but provided a clear and consistent picture of the site, enhancing communication." Jamboree staff used those same capabilities to also configure a dashboard view that focused on facilities and maintenance activities, VanOstenbridge said. This allowed maintenance crews to report facility-related incidents using their iPads and keep a running log of areas of concern and types of incidents. "It was a natural fit because the Trinity Works team had already been utilizing a similar workflow to monitor construction activities throughout development of the site and leading up to the Jamboree," Linden said. "The addition of the dashboards became the icing on the cake." A dashboard view also focused on facilities and maintenance activities. Dan McCarthy, Summit director for the BSA, wants GIS to be used as a design, management, and education tool. "With ArcGIS as our platform, our vision is to utilize GIS to educate our youth while building and strengthening relationships with our partners," McCarthy said. "It will be through The Summit that we communicate our message of leadership and stewardship, and it will be through GIS that Scouts, volunteers, and friends of The Summit carry that message home." McCarthy sees GIS becoming a more integral part of Scouting. "The Summit," he said, "will serve as a demonstration laboratory for the integration of GIS into Scouting's programs and activities throughout the nation." Linden agrees. "I have heard [Esri president] Jack Dangermond say a number of times that geography is the common language," she said. "In all honesty, at The Summit, ArcGIS has become the common language, and this is really only the beginning." 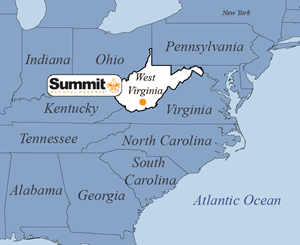 Summit Bechtel Reserve (The Summit) in West Virginia serves as what the Boy Scouts of America (BSA) calls an "adventure center" for millions of young people and adults involved in scouting. For Sarah Linden, the technology and innovation program manager for the BSA Summit Group, The Summit is also one very big geodesign project. Linden was first hired by Trinity Works Inc., an Esri Partner, in 2011 to build the geographic information system (GIS) platform for The Summit, which is owned by the BSA. Trinity Works became the project developer of The Summit in 2009, acting as the BSA's representative responsible for managing the planning, design, and development of the 10,600-acre site. "ArcGIS today looks very different today than it did when I joined the Trinity Works team," Linden said. "It has enabled me to reach further and faster, providing adaptive and quickly responsive solutions to complex projects." Both the BSA and Trinity Works staff stepped up to help in many ways. "We became a geo team over the past three years—there are more people who contributed to and rallied for geospatial solutions at The Summit than I could ever name," Linden said. 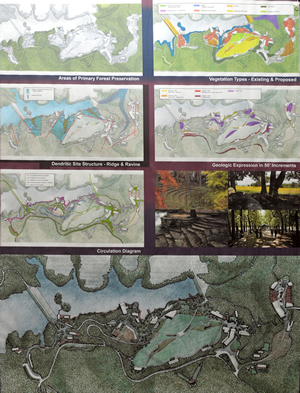 "In this way, I believe we have expanded the definition of geodesign. 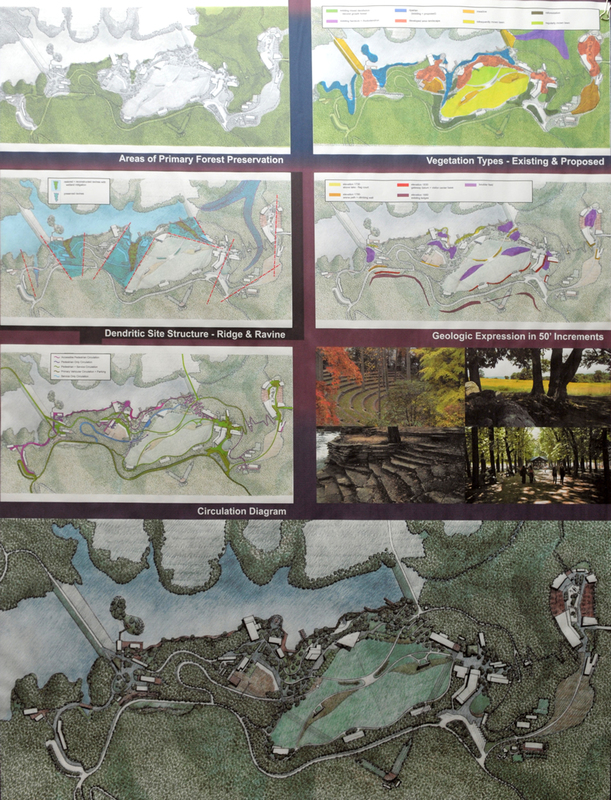 For The Summit, geodesign means the integration of complex land planning, programming, and site challenges with people who aim to find solutions." Isaac Manning, president of Trinity Works, said ArcGIS was invaluable and instrumental in the planning and design process for The Summit. "Trinity Works believes in providing clients with sustainable solutions. 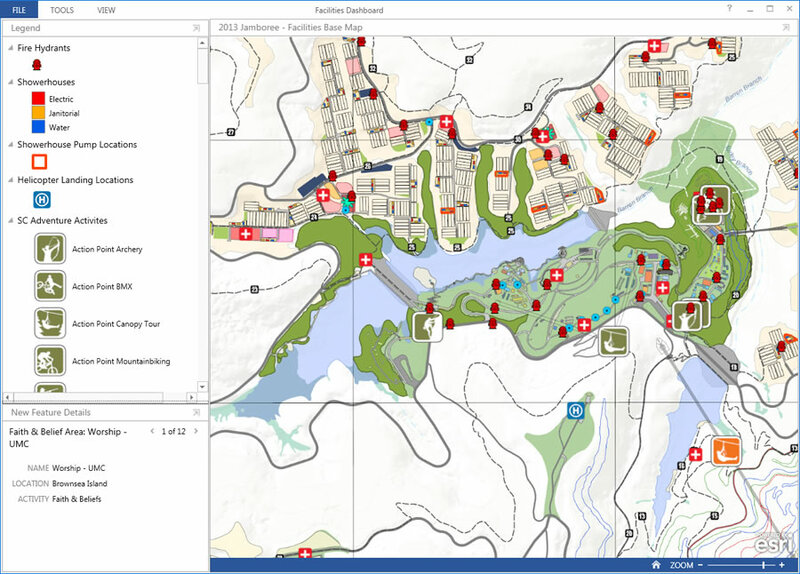 ArcGIS has allowed us to bridge the gap between planning and design, development, and site operations. At the end of the day, we knew we needed to complete site development and deliver a 50,000-plus person event simultaneously. To do this, we had to be efficient, and ArcGIS provided the only way to reach that goal. It enabled us to develop, manage, and communicate from one platform."